Brooke’s got a new book out! 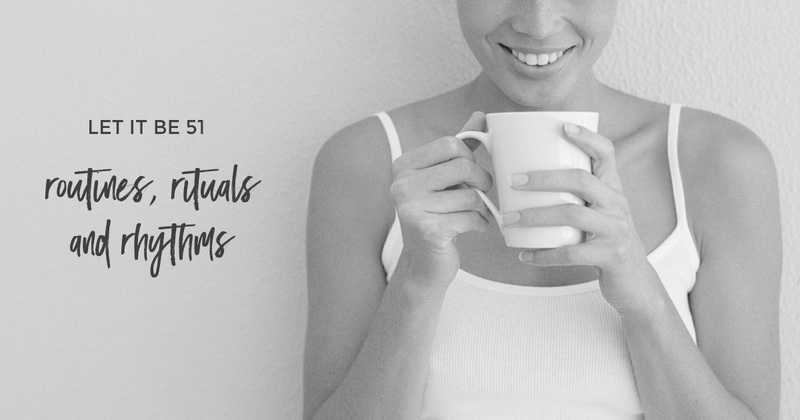 It’s called Destination Simple and it’s all about creating simple rituals and rhythms in your everyday life that help you slow down and find whitespace. Where do routines come into the picture? Well, they don’t, in the book. Because Brooke’s not a fan of routines. Me? Anyone who’s been reading here or listening to the podcast for a while knows if I wasn’t already married, I’d marry routines. Which means this conversation is like so many we have where we ultimately end up in the same place (a simpler, slower life) – but we come at it in very different ways!